Keeping our precious pooches healthy is the number one priority for responsible pet owners, yet how many of us only take our dogs to the vet when they get sick, or they are in pain? Preventative health care is a key aspect of responsible dog ownership, and moving from the summer months into autumn and eventually winter can be a challenging time. On the back of long, dry summer and mild autumn, we can expect to see a much higher prevalence of ticks. 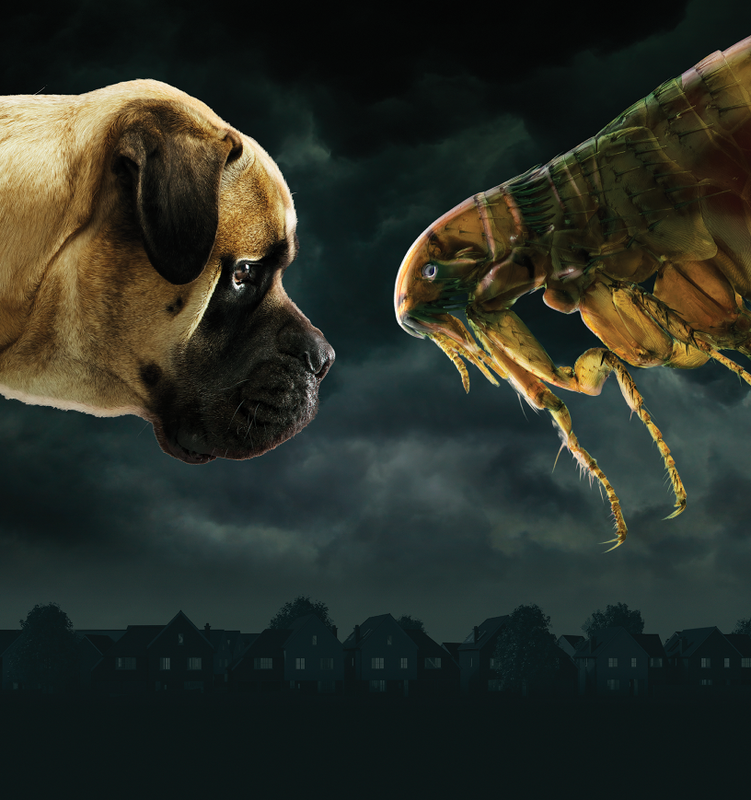 And as we move into the cooler winter months and turn on our central heating, we need to be aware of the potential for fleas to multiply in our warm homes. So what do we need to look out for, to ensure our pets are not subjected to unwanted passengers and the diseases they can bring. Log on to our web TV show where Chris Packham and leading vet, Paul Sands, will talk through what you can do to ensure your dogs remain parasite and disease free. The doggie advent calendars have been created to educate the general public on the best ways to avoid the pitfalls when looking for a new pet, spreading awareness of Pup Aid and to fundraise for animal rescues across the country. The biscuits and chews within the advent calendar are all made with human-grade ingredients and are fit for human consumption. They contain no salt, no sugar, no additives and no preservatives to ensure they are the healthy choice. Order your advent calendar today and we’ll deliver it to your door in the last 10 days of November. At least 50p from each sale goes to Pup Aid to help them lobby the government to change the welfare laws surrounding the sale of puppies and kittens. Another 50p from each sale will go to the UK animal rescue of choice of the purchaser. Details about the biscuits and chews, including manufacturer, ingredients, analytical content are listed on the calendar, so owners that have a dog with allergies can check before giving their pet the daily treats. Your dog spends, on average, ten hours a day sleeping. As he dreams of chasing the postman, fetching you the world’s best stick and finally catching up with that rabbit, is he doing it comfortably? When buying your best friend a new bed, you can’t exactly climb inside and curl up to check how comfortable it is. So what should you be looking for? There are all kinds of different designs and styles when it comes to dog beds. Read on to find the best match for your little companion. If you have a small, companion or lap dog breed, they can get quite prone to separation anxiety. This doesn’t mean that they should be allowed to sleep in your bed all the time! Instead, buy them their own, snuggly little nest bed that they can feel safe and protected in. Whether it’s a more open, basket style boudoir or a more enclosed den, a high sided bed is great for any anxious little hound that just needs to burrow under the covers. As a wise old hound once remarked, every dog has its day. All dogs can suffer from the joint pain and arthritis associated with getting on in years. If your dog shifts around uncomfortably in bed, rearranging limbs and struggling to settle, it’s probably time to invest in an orthopaedic dog bed for him. Look for one enhanced with a memory foam layer; it will take the pressure off joints, and can even help prevent nasty, expensive problems like hip dysplasia from developing. Since heat rises, the area your dog occupies in the house — i.e. floor height — is likely the coldest. You can move his bed into a warm corner, like by the fire, or place it by a radiator, but in winter this might not be enough. Heated dog beds are a great solution for cooler homes, and designed to radiate your dog’s body heat back to him! Alternatively, there are always plug in bed mats that work just like electric blankets! Even if you do occasionally let Misty or Boris snuggle at the bottom of your own bed, a dog bed is essential. Remember, from time to time we all need our own personal space in which to lie down and escape from it all. Let your dog have theirs.